The British Gazette » Brexit: Caught in a Trap. Above, Suspicious Minds (aka “Caught in a Trap”) was a song written and first recorded by US songwriter Mark James. After James’ recording failed commercially, the song was handed to Elvis Presley by producer Chips Moman, becoming a number one song in 1969, and one of the most notable hits of Mr Presley’s career. When Mr James put pen to paper composing the lyrics of what would be one of Mr Presley’s greatest hits he had in mind a dysfunctional relationship between a young man and a young woman. The title of the song and only part of the lyrics can – with a degree of artistic licence – be applied to the relationship dysfunctional relationship that the formerly sovereign United Kingdom of Great Britain and Northern Ireland has with the European Union of the Cities and the Regions. This is because of the FACT that there are large numbers of political people talking a great deal of nonsense! Some, such as the Unfortunate Mr Nuttall are oblivious to this and sincerely believe they are talking absolute commons sense! Then there are others. 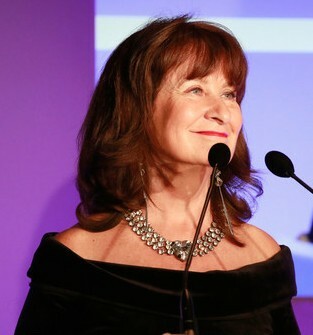 Such as The Right Honourable, The Baroness Kennedy of The Shaws, QC, FRSA. Yesterday, Lady Kennedy took part in the debate in the House of Lords and sought to ensure that Parliament had a chance to decide upon the deal negotiated following the invoking of Article 50. Now we must remember that Lady Kennedy is a QC. And a good one. Her fees were set accordingly. It is therefore inconceivable that Lady Kennedy has not read Article 50 and knows it’s ramifications backwards! There is a whole world of difference between Lady Kennedy and the Unfortunate Nuttall! Lady Kennedy will of course realise that whether or not Parliament gets “a final say” [on the deal] 6 months before the Brexit date, the point is very largely moot!!!! This is because there would be NO TIME to negotiate another deal and that the 6 months that is required for all other 27 EU member states to ratify the deal through their own constitutional procedures – which include referenda in some member states – is to say, “pushing it”! This is because ANY deal reached between the EU and the UK requires a new treaty which means that ALL parties (the 27 EU members and the UK) have to ratify the treaty following their own constitutional requirements. Which in some cases mean referendums. And we all know how unpredictable they can be! But in the present grand coup de théâtre that is the Brexit Pantomime being staged at the Palace of Westminster one has to be aware of what is NOT been said as this casts much more light on what is going on behind the scenes [backstage]! Truly, we are in an era of pantomime politics! Now one of the things that one needs to base assumptions on is the past actions of the parties. Now all British Gazette readers know how the EU has reacted in the past to referendums yielding results it does not like. It insists that the governments hold another referendum and ask the people to vote the correct way!!!! What is likely is that a deal will indeed be reached. It might be an acceptable deal like Flexcit (EFTA+EEA) or very bad deal. In all probability there will be precious little time left before the two year Brexit deadline to ratify the deal. The EU will of course be willing to allow the British People to change their mind and return like obedient sheep to the EU’s fold! Therefore we can expect the Remoaners to encourage the EU to allow for a second referendum so the people can decide. If the UK government refused to consider a second referendum one can be confident that the House of Lords will insist. Now in ordinary circumstances the UK government could override the Lords using the Parliament Act 1949. But this requires a delay of 6 months and of course the UK would not have 6 months! So now you can see how the Reomoaners are going to be in a position to check mate Mrs May. In order to get the deal through the UK government will have to hold a second referendum. Now let us address the legal aspects. Were an English lawyer looking at this, he or she would state quite categorically that for any second referendum to be more than a waste of time there would have to be the capability of halting the Article 50 secession process. Clearly, it would be a pointless exercise were the secession not irrevocable. However, from reading Article 50, it is clear that once invoked the UK will “Brexit” two years to that date. The wording of the two year extension period contained in clause 3 implies that one submitted, “Brexit” will take effect at the end of the period, deal or no deal. “1. Any Member State may decide to withdraw from the Union in accordance with its own constitutional requirements. Now, let us address the specifics of this. To put this into effect, any lawyer brought up in a Common Law system would state categorically that such a clause could only be added by an amendment to the Treaty of Lisbon. In this, such amendment puts all the parties in the same position as getting any deal ratified. In other words, an attempt by the UK and the EU to halt the process could be stopped by one of the parties refusing to or unable to ratify. Difficulties could be expected as all aspects of EU negotiations is subject to all parties demanding their own special interests to be accommodated and the fact that some members would have to put this to a referendum. Clearly, what the EU negotiators might want is an easy quick trouble free route to cancel Brexit! They would like the British electorate to be given a second referendum which is capable of halting Brexit. Now we come to consider the involvement of another EU institution: The “so called” European Court of Justice. In English, the term itself is a misnomer as it is not really a court and it does not dispense judicial decisions”. Also the so called “Judges” are not judges in the sense that any Common Law system lawyer would understand the term! The only contextually accurate word in the phrase is “European”! A more accurate term for the body would be the “European Central Committee”. Readers may well remember with smiles the great “sit-com” “Yes Minster”. They may recall the minister Jim Hacker asking Sir Humphrey Appleby to set up a committee. Sir Humphrey asked the minister what conclusion he wanted the committee to reach! This in effect is how the ECJ works. The European Council will want the ECJ to decide that Article 50 can indeed be halted! “Err……… How???? ?” we hear you ask. Well to understand how one has to remember the European concept of jurisprudence. Jurisprudence through the eyes of a European has the texture not of a rock such as the granite that makes up the cliffs in Cornwall but as the plasticine to be found in the play pen at a kindergarten! The so called “judges” of the ECJ would in these circumstances probably conclude that the revocation provisions are in fact contained in Clause 1 of Article 50. Herewith: 1. Any Member State may decide to withdraw from the Union in accordance with its own constitutional requirements. “Err……… Where???? ?” we hear you ask. In the second part of the sentence, “in accordance with its own constitutional requirements” would be their answer! It would be up to the UK to pass a Act of Parliament that would repeal the European Union (Notification of Withdrawal) Act of 2017. They would probably state that this would have to state that it would have retrospective effect. In order to put this into effect the UK government would have to enact legislation for a second referendum. This legislation would likely to be packaged with the repeal bill to frustrate legal challenges from Brexiteers. Many British Gazette readers will be appalled and aghast at the prospect of Brexit being cancelled in such a manner. Unfortunately an even worse prospect could await the UK were a “Hard Brexit” to take place. A “Hard Brexit” would indeed be a hard thing! There will be chaos. There will be short time working in many factories. Much export import trade would come to a halt. UK factories reliant on EU sourced supplies would shut. There would be shortages in the shops and empty shelves in the supermarkets. The FTSE would drop through the trading floor. RBS would probably be fully nationalised. The £ would find itself at record lows. The credit reference agencies would slash the UK’s credit rating. This would make the debt payments increase hugely. There would be an emergency budget with massive tax rises and deep spending cuts. UKIP would be less popular than the Monster Raving Loony Party. Then the EU would come to the rescue! Doubtless the EU would offer special accession terms to the UK. The special nature of the terms would be the speed. The UK however would have to accept membership of the Euro. Given that the £ would be worth less than the Euro at the time this would promise an improvement in people’s fortunes.